Entering a turn at a 45-90 degree angle while the rear tires pour clouds of white smoke into the air as the turbocharged 3-valve V8 engine bounces off the rev-limiter is just another day for Pro-Am Drifter Chris Allen. When Drifting first started to gain attention and notoriety in the United States in the early 2000s, it was viewed as a passing fad by the motorsport community. Now, drifting has become one of the largest motorsports in the world and one of the quickest growing at that, with Chris Allen as one of the sport’s rising stars. 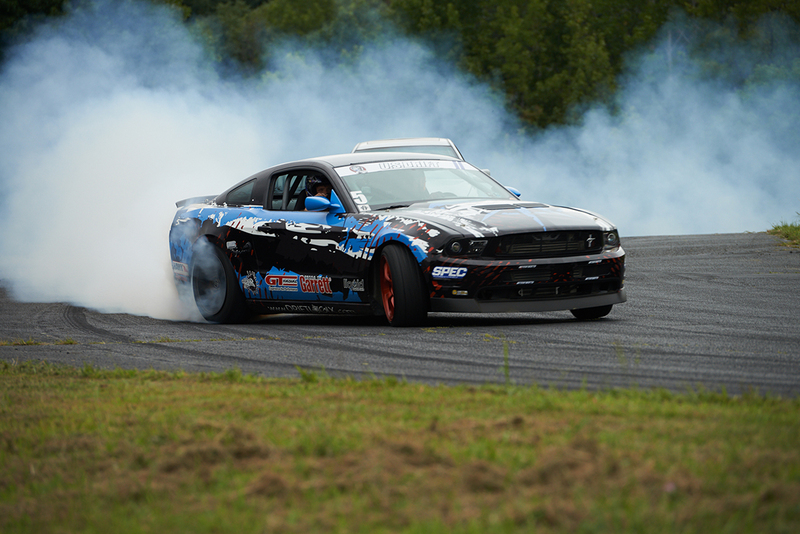 Hailing from the great state of Pennsylvania, Chris has found himself climbing to the top of the drifting circuit, with his focus locked on making his way into the Professional Series. 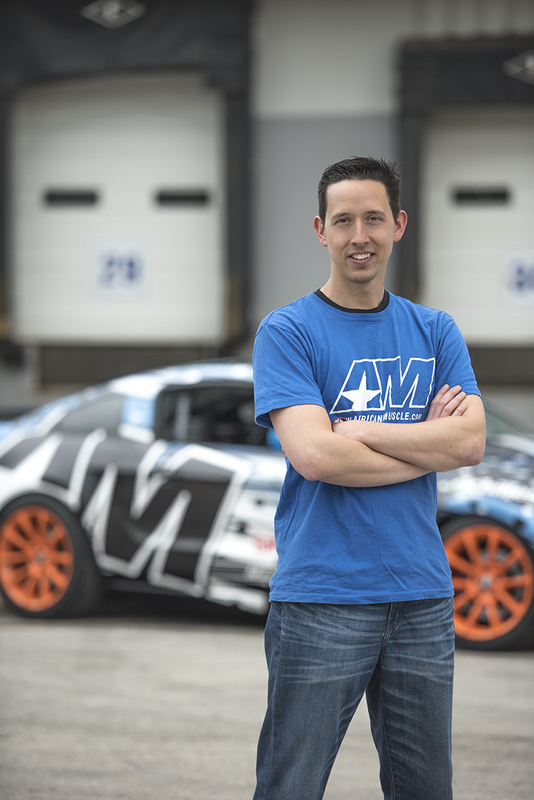 In a sport that was once dominated by import vehicles, Chris is one of many drivers who have invaded the drifting world behind the wheel of the iconic Ford Mustang. While he may be a rising star in the drifting community, Chris found his motorsport roots long before he ever started going into turns sideways. For his first car, Chris bought a 1988 Foxbody that got him hooked on cars. Chris’s Fox quickly became an ongoing project of upgrades and modifications, with many trips down the quarter-mile. When the S197 body style was released, Chris immediately fell in love with it, prompting him to part out his Fox and ultimately sell it. Chris took that money and used it to purchase a 2006 Ford Mustang GT. Between his worked Foxbody and his 2006 Mustang, Chris had been a fixture at his local drag strip, competing in Friday Night “Grudge” Racing. In 2008, Chris started drifting, going through as many tires as he could. He would practice constantly, improving his skill each time he hopped behind the wheel. By 2012, he was ready to compete in the Pro-Am Drifting series, where he has competed for the past three years. Chris competes in the East Coast Division of US Drift, which is the largest series in US Drift. Regardless of the intense competition that he faces, Chris has still managed to elevate himself to be a top competitor in the East Coast Division. Drifting, like other motorsports, is based on a points system where the points are accrued at each event/race. Last year Chris found himself in 5th place at the end of the season, despite the fact that he had missed one race during the season. Going forward, Chris and his team are striving to break into the Top 3 of the Pro-Am division, which will allow him to progress to the Pro2 Division. Once there, Chris is one step closer to his goal of competing in the Professional Drifting Circuit. Chris’s turbocharged 2006 GT, which features a custom fiberglass 2012 Mustang body, recently underwent a small transformation. 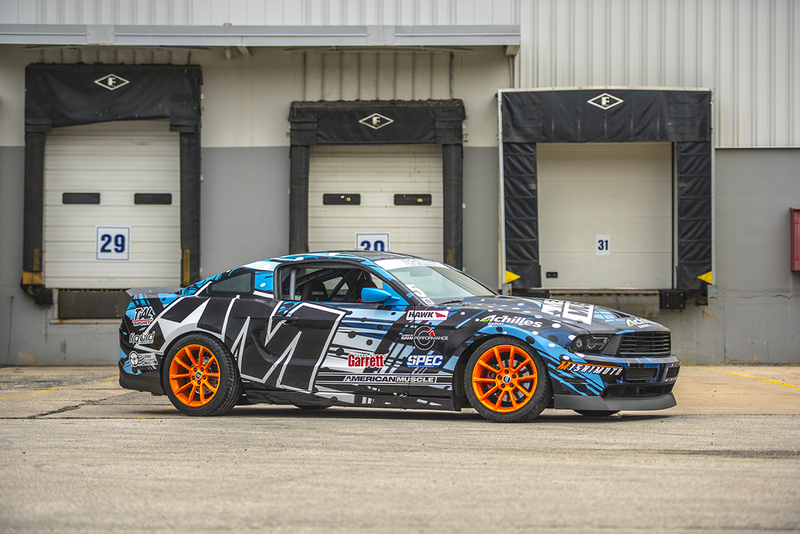 With the addition of his two newest sponsors, AmericanMuscle and Bama Performance, Chris’s drift ‘Stang now features a brand new livery and a brand new custom Bama Tune. With a Bama Tune, his Mustang put down an impressive 406 RWHP and 412 RWTQ. We are very excited to support Chris in his journey to the pro’s and look forward to his future performance on the track. Make sure you stay up-to-date on Chris’s progression in the drifting world by checking back with us online!